Olympus has released more details about the M.Zuiko Digital ED 75mm F1.8 lens it announced alongside the E-M5, back in January 2012. The relatively compact large-aperture lens offers a 150mm-equivalent field-of-view and a fast internal-focus design. 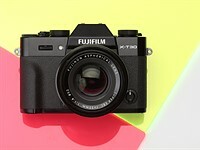 The 75mm will be available from 'Summer 2012' at an expected selling price of around $899.99. 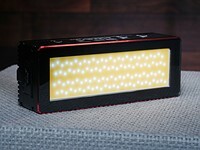 CENTER VALLEY, Pa., May 24, 2012 – Today, Olympus adds to the Micro Four Thirds family of lenses with the release of the M.ZUIKO DIGITAL ED 75mm f1.8 High-Grade Portrait Lens (150mm equivalent), a high-speed, single-focal-length telephoto lens that is optimized for studio, stage, indoor sports and portrait photography, encased in a high-quality, compact, stunning metal body. The M.ZUIKO DIGITAL ED 75mm f1.8’s nine-blade circular aperture unit delivers beautiful defocused backgrounds, while the high-quality optical design keeps the subject in sharp focus. 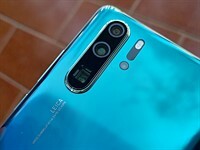 This is due to an advanced optical design that incorporates 10 lens elements in nine groups that make extensive use of special glass materials, including three ED (Extra-low Dispersion) elements to optimally correct aberrations. Each lens element is polished to an ultra-high level of working precision, only possible with the progressive techniques developed by Olympus master craftsmen, and carefully assembled to ensure maximum accuracy and reliability. Olympus’s exclusive ZERO (ZUIKO Extra-low Reflection Optical Coating) lens coatings are applied to the elements to reduce reflectance to a level that is half that of conventional coatings. With a total length of just 2.7 inches, the M.ZUIKO DIGITAL ED 75mm f1.8 is surprisingly small and maximizes the performance and portability of the Olympus PEN and OM-D compact system cameras. A textured metallic outer finish exudes quality and sophistication, while the large 50mm diameter glass front lens conveys a sense of power and performance. Ideal for capturing brilliant still images and high-definition (HD) videos, the lens employs Olympus's proven MSC (Movie & Still Compatible) autofocusing mechanism featuring an inner focus system to drive this single-focal-length lens for fast and quiet focusing. A precision-touch metallic focus ring provides easy manual focusing. The optional LH-61F Lens Hood and the LC-61 Lens Cap metallic lens accessories are designed exclusively for the M.ZUIKO DIGITAL ED 75mm f1.8. The LH-61F Lens Hood attaches with an outer friction knob system that allows attachment or removal even when the lens cap is attached. 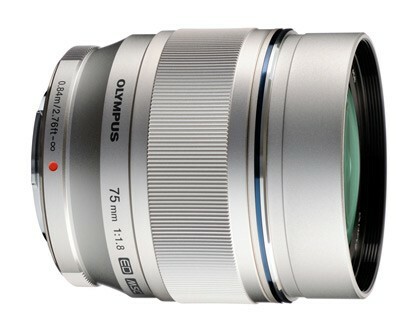 The Olympus M.ZUIKO DIGITAL ED 75mm f1.8 High-Grade Portrait Lens will be available in summer 2012. I getting nervous the macro will be this expensive too. I just bought the 45 f/1.8 but I think I will now look into alt glass and use adapters. For macro manual focus is preferred anyway, so an old 90mm+ macro should be nice. good luck, the old OM 90mm F2 MACRO still fetches around $800 but then, it is probably the KING of all MACRO lenses. Not bad...But not cheap. European set will be more expensive. You'd really need one of the Panasonic primes at 20 or 25 to round it out. 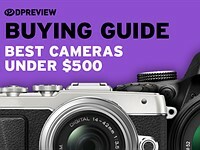 Add in the 25mm f1.4 and you are knocking on $3000. I'm very happy with it as a high end primary camera. As far as I am concerned, there are two really good cameras around today, one offering amazing res, the other extreme portability. 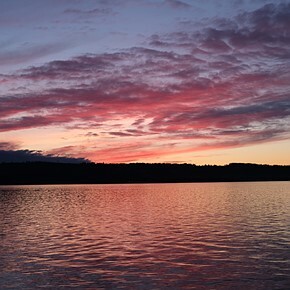 In the end I opted for the portability of the OM-D over the 36mp of the D800. Very pleased. Good DR, very fast and responsive, better high ISO than I personally need, and a lovely bag of primes. Apart from the 36mp it has everything I could possibly want. You seem to approach this with common sense.. That doesn't happen here very often..
Olympus is getting pretty proud of their tiny lenses, aren't they? Interesting to see m4/3 kits starting to move into a higher price bracket than APS-C..
150/3.6 equivalent of 135 format for 900 USD. Hmmm. I don't think that 150 mm is PORTRAITS distance. Next time a new FF Lens is announced, I want to pretend I use a medium format camera and slam the lens with equivalence jargon. 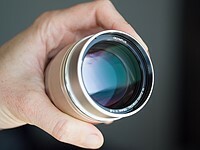 Actually the Zuiko Digital ED 50mm/F2.0 Macro together with the EC-14 TeleConverter has been a popular portrait combo. Probably the upcoming 60mm/F2.8 Macro pushed this lens up from 70mm to 75mm. Hope you realize it is only F3.6 for DOF, not for exposures. 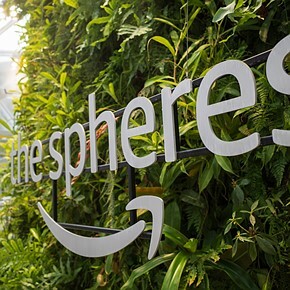 This will be a great indoor event lens. I just looked at 3 of my old hand held light meters and they dont have any setting for film size (sensor size) so for now, I will take the Manufacturers word for the fact that its an f1.8 lens not an f3.6 lens. You numpties that ONLY consider DOF when looking at aperture numbers are FAR worse than those of us that consider it to be an primarily an EXPOSURE SETTING. ZERO, is that the first time they've used that term for their proprietary nano-coating? I can imagine also the marketing has been a bit more innovative with the wordings this time to emphasize the 75mm/F1.8 is the most engineered MFT lens so far from Olympus. They even give credits to "the progressive techniques developed by Olympus master craftsmen". Anyway, it seems they've gone several steps extra, in order to perfection this to be the king's class of MFT lenses. 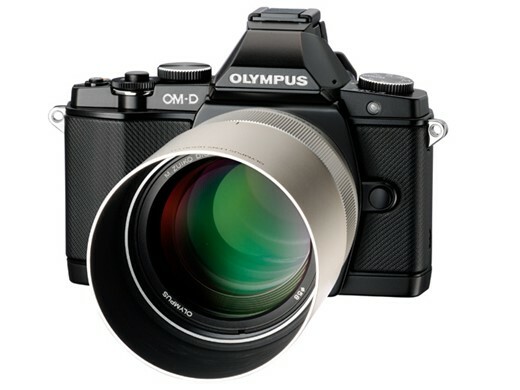 This lens is worth that price, but at that price Olympus should really include the lens hood. Sadly it should not be a surprise. Olympus plays the nickel and dime lens hood game with its m43 customers. $100 for a $1 piece of plastic when the prices of some of the lenses are quite eye popping for what the lens is. It should really be included in the box. agree. 4/3 HG Glasses includes a hood and case. Made in Japan as well. WTF, Olympus conforms to the defacto "Industry standard" of not including Lens hood. Not that I think it's a positive since they've always been including them for 43. 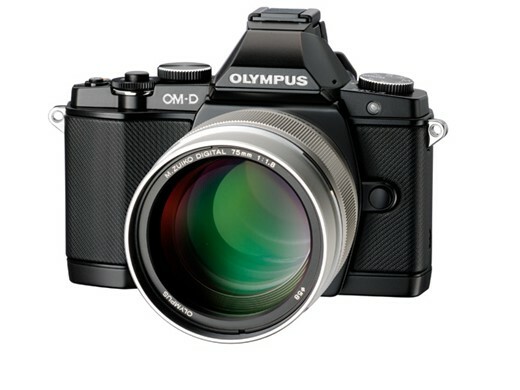 But to only diss Olympus for this is a little narrow minded. Industry standard? I'd say you're not looking hard enough. Even my cheap POS Pentax kit zoom came with its own petal shaped hood. The rest of them came with hoods, some even built in. Digifan, why don't you change your nickname to Olyfan so it would be easier to skip your advocating comments? Don't know about any industry standard - although I sure got a hood with my Canon 24-105, a cheaper top-class lens than this one - but we slam Olympus now because it is a discussion about an Olympus product. When there is an announcement of a Ca/Ni/So/Pe lens without an included hood, we'll slam it then. No need to defend Olympus for this price-gauging. Canon is probably one of the cheapest about lens hoods and pouches, but even they would include it at this level. With the OM-D, 12, 25, 45 and 75, I really do feel I've got that tiny but ultra-effective kit I always wanted. Well done Oly (and Panny, with the 25), you are making me a very happy bunny these days. No. One nice thing about MFT is it has two brands in it. If there is no E-M7 then I end up with a GH4. My plan is to have the 20/1.7, 45/1.8 and 75/1.8 and then possibly the 12/2 at a later time. And no whining about hoods, etc. If you want something and are willing to pay for it, life is a lot more enjoyable without this angst over superfluous issues. I agree, Louis, it's just a lot of us never thought that kit would be about $4000! Most sources are reporting $799 but either way, well worth the money. Can't wait. As a single long portrait telephoto available for m43, sure. 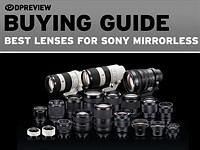 What else would you buy if you want a native lens? But I can't help but to think that Olympus has much higher margins on this lens than Canon or Nikon. That, or there are vast differences in their production efficiency. Both Canon and Nikon offer 85mm F/1.8s for under 500$, lenses that cover four times the image circle of this Olympus. Well, I wouldn't be suprised if this performs much better @ f1.8 than EF 85mm/1.8. It better perform better, otherwise it's just massively overpriced. Even had it been 500$, the fact would still remain that you're paying as much for 1/4 of the image circle, meaning that better quality is the least you could expect. The smaller the image circle, the easier it is to make sharp optics. Just look at P&S. Their lowly zooms achieve LP/MM DSLR optics can't even begin to touch, yet they're dirt cheap thanks to their size. If I'm not mistaken, Zeiss has said that their compact optics resolve about five times as much than their best system camera lenses. I fully expect the 75mm F/1.8 to be a great piece of glass, I just think that the price is a bit high. At 500$, I would consider it great value, just like the 85mm F/1.8s. At 800$, I can't help but to feel that it's a bit much. Still worth it for many, sure. But not a no-brainer. 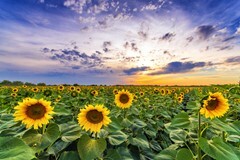 Make sure when you compare it against the Canon lens you only compare a 1/4th image crop of the very center. I was on the Canon L lens bandwagon but after trying the OM-D with the 45mm and 12mm lenses I sold everything and went M43. Image circles, smaller sensor, MTF.... whatever, the results are awesome. Olympus is making some amazing glass... As Jon Rty said, a no brainer. I don't understand why? I use EF prime lenses on a Canon camera, so naturally I'm interested how the whole frame turns out. IMHO they need to be stopped more to get similar quality as small format lenses. Of course center is most often the sharpest area, so that's interesting if using a lens via adapter on MFT. Some fare better than others with higher resolution sensor (= 64 MP on FF). @Jon Rty, if you'ld have been paying attention you'd know m43 ISN'T 1/4 of the image circle of 35mm!!!! Don't spread misinformation The 35mm is 4x the area of a m43 sensor, as im mm2 but it's not 4x the image circle since m43 has still bigger image circle than 1/4 of 35mm, due to the design being able to let light go perpendicular on the sensor!!! Telecentricity varies from lens to lens. 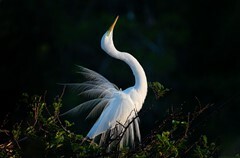 No digital sensor likes steep angles of iincidence, which means that all digital lenses strive to keep that at a minimum. Wow, Oly sure is isn't pulling any punches with this one. Actually below what users here were guessing. Cool beans! Can't wait for the reviews. About $100 more than I wanted, and without a lens hood. Ah- I'll just wait for a knock off anyway like I did with the 45mm. Coupled with the 14mm, 20mm, 25mm CV, 45mm- and the 75mm though, I'll be SET with the classic lineup finally! Been waiting for the lens but for $900 I can't believe once again the hood is optional. Come on! Not just the hood....it says lenscap too. I hope that's just a poorly worded sentence. 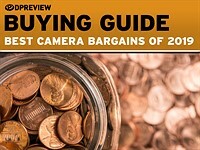 Optional lens cap not included in the box would just be ridiculous nickel and diming. I guess "CANIKON!!" users will just have to struggle on with their cheaper, faster portrait lenses. Sigh... don't feed trolls (it's hard, and I do it too from time to time)... but don't be one too. 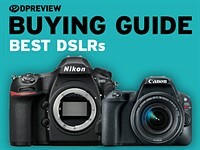 What cheaper AND faster portrait lenses do you mean? Please tell me, what CANIKON portrait lenses are both cheaper and faster than this one? Go find me an 85mm f/1.4 lens under $900 LOL Even the off brand Sigma costs more than that! Plus thee Canon lens covers 4 times the image circle as this Olympus. Sigh... well that didn't take long for non-sense to come around. Also "Plus thee Canon lens covers 4 times the image circle as this Olympus" means nothing. "That's a nice orange tree you have- too bad I like apples." There is more to a lens than simply being "fast." Yes I have the EF 85/1.8. But that is not faster and quality is questionable @ f1.8. And Nikon version has LOCA even in the center of the frame. How nice is that? 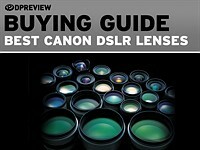 In case you have difficulty reading LKJ's post, he said CANIKON has FASTER, CHEAPER portrait lenses. Last I checked f/1.8 isn't faster than f/1.8. Also for you to suggest that Canon's cheap plastic lens with no high grade glass or coating is "more or less the same lens" as this one is a complete joke. It's extremely soft wide open, and not even sharp in the center. 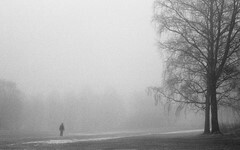 What is the use of constant arguiing between people who have chosen for a system and both are not inclined to change. The argument is constantly "I chose this because I like this more and not that" etcetcetc. Yes: it is called taste. And it differs among people and arguiing about what is better or worse is not going to change any opinions once they are set. You spread misinformation. The image circle of 35mm lens isn't 4x bigger then m43. If you say the sensor of 35mm is 4x the area (mm2) it's correct. (m)43 has bigger imagecircle than necessary due to being able to let the light fall perpendiculare to the sensor.!!!!! This seems quite exciting. Offerings like this are making m4/3's too hard to ignore. 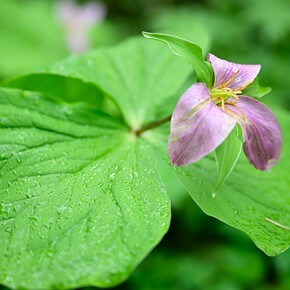 Just posted: Olympus M.Zuiko Digital ED 75mm f1.8 prime lens sample images. 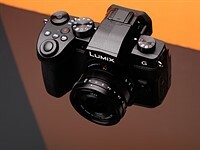 We've been using the Olympus prime lens for the last few days and have prepared a quick sample gallery using the Olympus OM-D E-M5 and the Panasonic Lumix DMC-GH2 and GX1. These samples have been shot at a variety of apertures in a range of lighting conditions, intended to highlight the lens' portraiture capabilities. Just Posted: Our hands-on preview of the Olympus 75mm F1.8 for Micro Four Thirds. 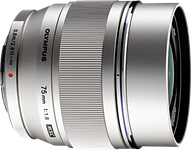 The 75mm is Olympus' premium grade portrait lens for the joint Olympus/Panasonic mirrorless system. We've had a pre-production example in the office for a couple of days and have prepared a hands-on preview, to which we'll add a samples gallery when the promised production example arrives.